"Designer and label founder, Jomay Dee Cao, first made her stamp on Australian fashion as a stylist after acquiring qualification in 2009. Subsequent industry experience and a fervour for luxury women's wear propelled her transition into design, and an eye for form, colour and an innovative design ethos have been responsible for the clothing label's success to date. Founded in 2012 and launched at the beginning of 2013, JOMAY CAO has already achieved strong positioning within the West Australian fashion sector with the promise of mounting recognition. Through utilising fine quality fabrications sourced from around the world and a feminine yet edgy aesthetic to the construction of each garment, JOMAY CAO strives to provide women with the sensitivity of relaxed glamour and effortless luxury. With inspirations drawn from past and present art and fashion, her collections are a celebration of the strong and sophisticated woman articulated through the diverging yet harmonious marriage of structure and drapery. Ensuing from the label's successful introduction JOMAY CAO is quickly developing a steadfast following and is anticipated to make a significant contribution to the future of Australian fashion." 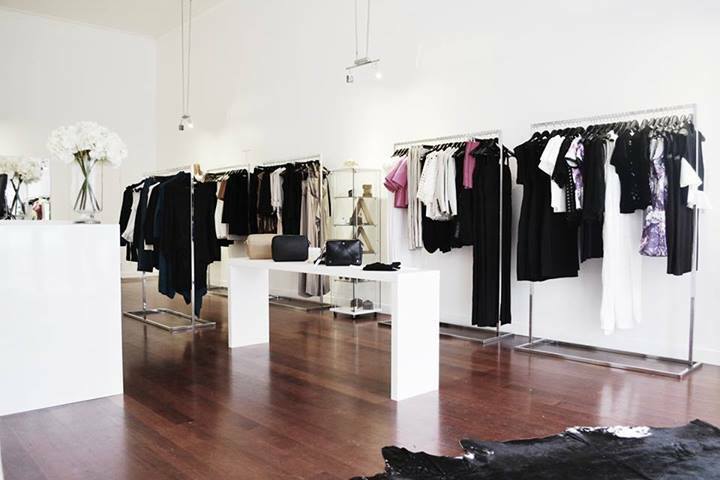 A great Perth designer with sleek and sophisticated designs, this is one worth chekcing out! I have worked with some of Jomay's beautiful pieces before and have had so much positive feedback - please support your local designers and see for yourself! If you dont have time to come down to the store and check it out before Perth Fashion Festival, dont fret! She is also showing at PFF and tickets are on sale now.